Facebook’s public image has been taking a beating lately, and things just keep getting worse for the social media platform. According to a recent report from Business Insider India, Facebook has been uploading info from its users’ email contacts since 2016. Facebook did this “unintentionally” and without warning when users created their accounts for the first time, or when using their email accounts for login confirmation. It’s about to get a lot easier to manage conversations on Facebook. The social giant — when it isn’t busy ruining your account security — is adding a new sort-of threaded reply feature for all users’ Messenger conversations. 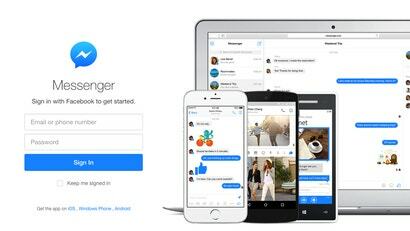 Facebook Australia has launched a new desktop app called Messenger Video. The app - which is available from today - does exactly what is says on the tin with an emphasis on group video calls and multitasking. Here are the details. Facebook Messenger has swiftly become the world's #1 messaging app with more than 1.3 billion monthly active users. While you probably know how to make video calls and send animated GIFs, the app has a bunch of additional features and functionality beneath the hood. 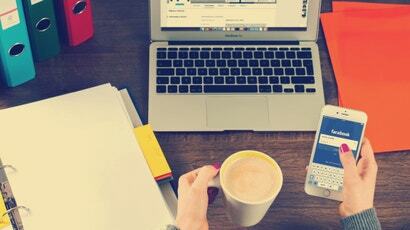 Here are 11 tools you might not know about - and how to use them. In celebration of the 2018 World Cup, Facebook has released a colourful new squad of soccer games and bonus features on its Messenger app. If you've got time to kill in-between World Cup matches, here's how to access them on your phone! 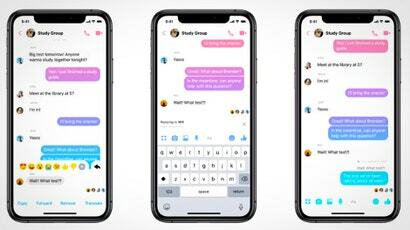 Facebook has confirmed that it actively scans conversations that people have on its Messenger app to ensure that the images and links shared are meeting its “community standards”. Say what? Assuming you're still on Facebook -- and it's totally OK if you deleted the service this week, it really is -- the company just launched a new update to its Messenger app that gives you and you friends a lot more power over your group conversations (for whoever started them). Here's how it works. Did your friends get really quiet all of a sudden? It's not just you -- Facebook Messenger seems to be experiencing a global outage at the moment. 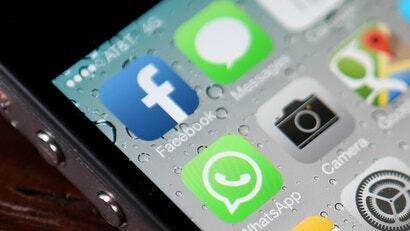 Facebook has two messaging platforms - Messenger and WhatsApp. While imagine many people would have accounts with both services, figures released in parallel with Facebook's quarterly earnings report revealed that WhatsApp boasts over a billion users each day. Messenger has over a billion monthly users. Group texts can be a lot of fun, especially when you start sharing links, GIFs and other fun media. But it's always a problem when someone with a different operating system joins the party. Android: A recent server-side update to the Facebook and Messenger apps caused a bug that rapidly drained users' batteries even more than those apps usually do. Fortunately, it's been fixed, but you'll need to restart your apps. Google Duo Vs Apple FaceTime: What's The Difference? Google has released a video chatting app called Duo to rival Apple FaceTime. But unlike the case of Instagram ripping off Snapchat, Duo isn't just a carbon copy of FaceTime. Here's how Google has set Duo apart from Apple's popular iOS video calling feature, for better or for worse. Facebook's Messenger instant messaging platform is now widely used by people, and even businesses, as a communication tool. Many users are uninhibited when they chat on Messenger and talk about sensitive topics with family and friends. Facebook wants to ensure these conversations remain absolutely private. The social media organisation has started testing out a new Secret Conversation function that uses technology developed by Open Whisper Systems, the company that created the renowned secure messaging app Signal. Here's what you need to know. Android: If you've used Facebook Messenger for a long time, you might remember the glory days when it could handle your SMS messages, too. 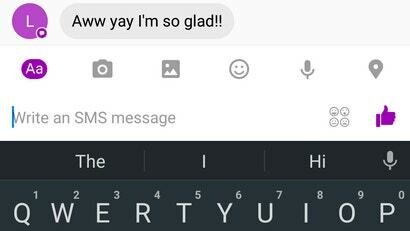 For some reason, Facebook took this feature away, but it's back in the latest Messenger beta. 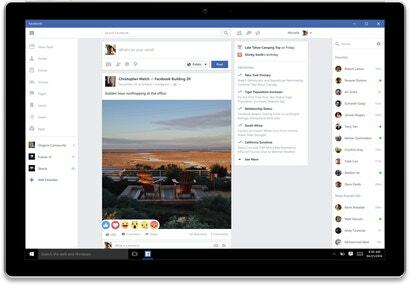 Windows: Facebook launched its new standalone Facebook and Messenger apps for Windows today, bringing native desktop notifications, a faster News Feed and a built-in browser to make sharing articles even easier. 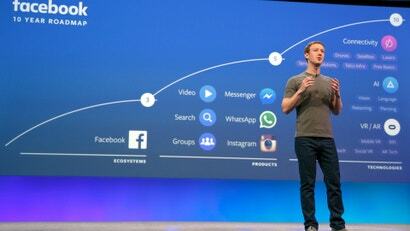 Facebook has enormous ambitions for its chat app, Messenger. 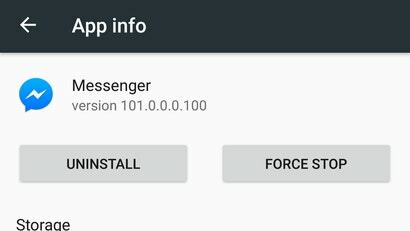 So big, that it doesn’t even think of Messenger as an app. Facebook thinks of Messenger as a platform on which entire businesses will be built. Read on to find out why. Android: If you're sharing a phone or tablet (or just have multiple Messenger accounts), using Messenger just got a lot easier. 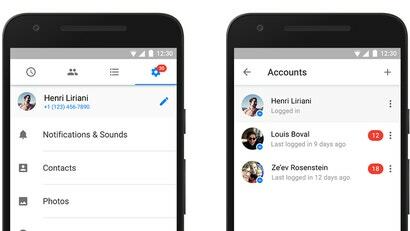 Now, on Android, you can add multiple accounts to Facebook Messenger. Even if you don't like Facebook as a social network, its Messenger app is pretty killer. 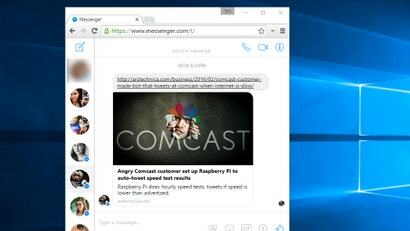 If you'd rather use the latter without the former, you can head to messenger.com, where you'll find Facebook's Messenger in a standalone site. Facebook has rolled out some new features for its Messenger mobile app ahead of Christmas including the ability to customise individual chat boxes. Here are the details. LinkedIn's old message service on its professional social networking site had always been terribly clunky. It looked ugly, had very little functionality and it was difficult to follow conversations. 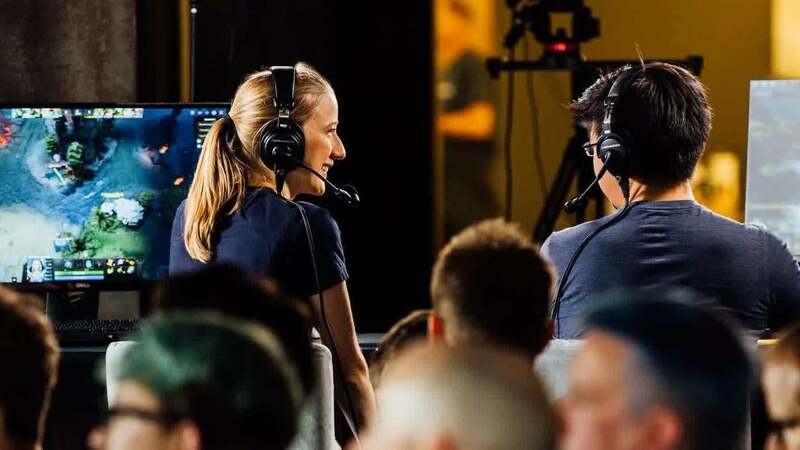 The company has heard the collective cries of users and has introduced a new and improved messaging service.